We supply qualified specialist nurses & healthcare assistants for NHS and private organisations in and around Greater London, Essex and the home counties. 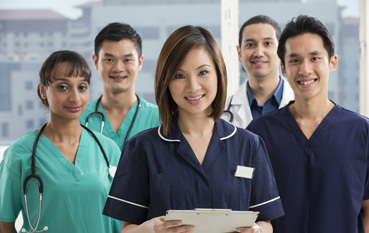 Chinite Home Care provides specialist recruitment solutions for charities, public sector organisations, private care providers and not-for-profit organisations. Combining our years of experience in social care and training, including direct line service management, gives us the background, knowledge and connections to supply high calibre health, housing and social care professionals to cover staff shortages, even at short notice. With our specialist expertise and resources, we can help you recruit the right people with the right skills. We understand the challenges when it comes to staffing in the health and social care industry and we provide up-to-date, sector specific recruitment solutions. Our specialist recruitment service can save you resources, reducing your hire cost per staff member and allowing you to focus on your core services and, ultimately, the care of your patients or residents. We will leave you with Consultancy Service Proposal to mull over.